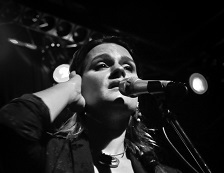 ‘The only thing that matters is the song’ says singer songwriter Madeleine Peyroux. A conviction that along with a ‘one of a kind ’ voice has carried the award winning artist from busking on the streets of Paris, all the way to stardom. Sixteen years after her Dreamland debut, it is not hard to see why Peyroux’s genre defying blend of jazz and pop continues to enthrall the music world. Through six universally praised albums ‘Jazz’s brightest star’ has gained a reputation for an impeccable choice of material, creating a genuine buzz of anticipation amongst fans and the industry at large.